This creatively structured, memorable memoir includes a mix of humorous anecdotes and classical music trivia. An accomplished cellist, Ian Hampton has played with the London Symphony Orchestra and numerous prominent string quartets. He is known for his versatility when it comes to playing pieces spanning centuries. As Jan in 35 Pieces: A Memoir in Music proves, he’s also quite a storyteller. 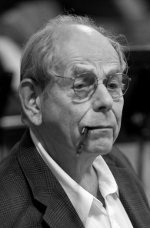 The book mixes humorous anecdotes and classical music trivia with the chronology of Hampton’s life. It is a creatively structured and memorable work. Hampton writes his memoir in the third person, referring to himself by his nickname, Jan, which allows him to take a more novelistic approach. That choice makes the book more enjoyable, as does its unusual structure. 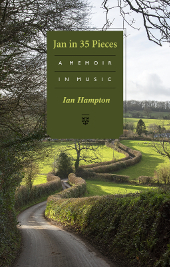 As the title suggests, Hampton has divided his life into thirty—five chapters, each centered around a different piece of music. Each of these chapters tells an anecdote related to the piece before transitioning to a chronological portion of Hampton’s biography. For example, for Igor Stravinsky’s Rite of Spring, the chapter begins with an adult Jan discussing the piece with one of his students, flashes back to 1946, when he first heard it, and then considers his later experience recording it with the London Symphony Orchestra; it recalls both instances while mixing in the story of the piece’s controversial 1913 premiere and an explanation of why it’s challenging to play. Works like Mozart’s The Magic Flute, Bach’s Brandenburg Concertos, and even the Beatles’ ‘Ticket to Ride’ receive similar treatment, with Hampton’s story melding to the music that played such a big part in it. This approach lets Hampton augment what could have been a straightforward biography with plenty of funny stories about his career, bits of dialogue between fellow string players that capture the camaraderie of musicians who have played together for years, and little snapshots of his colleagues’ biographies. Jan in 35 Pieces is a consistently interesting memoir that also serves as a well—written love letter to classical music and the experience of playing it.